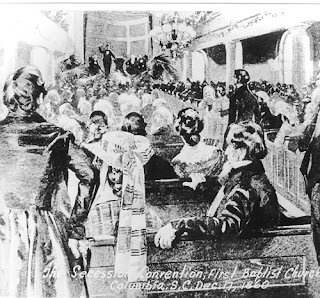 150 years ago today, the South Carolina Secession Convention convened at First Baptist Church, Columbia. The vote was 169-0 to exercise their 10th Amendment right to secession and resumption of their sovereignty as an independent republic. 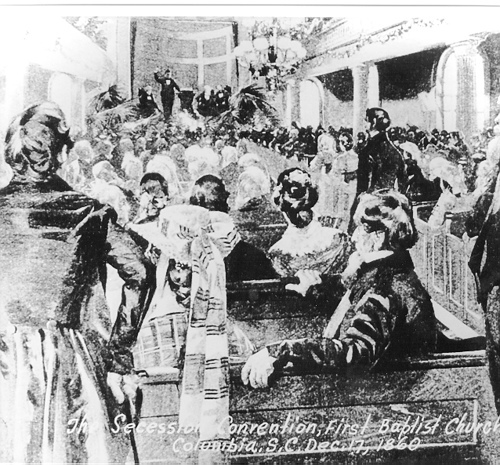 “When the [secession] convention met December 17, South Carolina was confident that her action would soon be followed by other States. 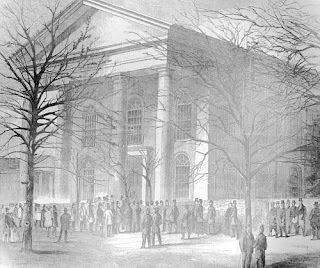 Governor Gist in his message to the legislature at the end of November, had stated that there was not the least doubt that Georgia, Alabama, Mississippi, Florida, Texas and Arkansas would immediately follow, and eventually all the South. No longer, he said, was there any jealousy of South Carolina in the resistance States; rather they were urging her to take the lead. “It was a body of sober, grave and venerable men, selected from every pursuit in life, and distinguished, most of them, in their respective spheres, by every quality which can command confidence and respect. 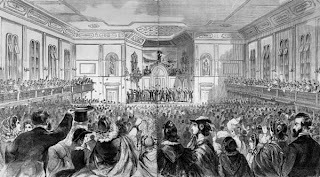 It embraced the wisdom, moderation and integrity of the bench, the learning and prudence of the bar, and the eloquence and piety of the pulpit. Source: Charles E. Cauthen, South Carolina Goes to War (Columbia: USC Press, 2005), 67-69.